Are you leaving your Email and Network unprotected? Protect your Business with Comprehensive yet affordable Subscription-based Security Services. SecureTide™ blocks 99 percent of spam and viruses, keeping your inbox clean and your network safe. 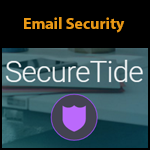 SecureTide is easy, effective and affordable email security. Avoid compliance issues and send confidential data with confidence. 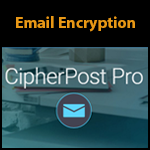 Get CipherPost Pro™ and experience true user-to-user encryption with just one click. 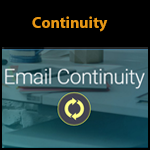 Email Continuity Service gives you access to email, even when your own servers go offline. 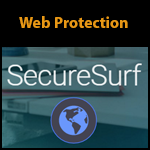 Protect your network from ever-evolving Web-borne threats through SecureSurf™ , a multi-layered, adaptive solution for your business. Phenomenal Care™ – customer care available from AppRiver and Fluid Depiction LLC by phone, email or live chat – all day, every day. Fluid Depiction LLC Specializes in bringing Enterprise grade solutions to your small business. If you are looking for enterprise-grade IT Security, Compliance and Productivity services which offer flexible, cost-effective, fully tested and compatible solutions for your business – we can help.